64% of the surveyed employers are found saying that graduates with an international background are often given superior professional responsibilities. While nearly half of the students said that studying abroad didn’t let them face long-term unemployment. Seeing the impressive statistics above, there’s no denying the fact that traveling and studying overseas captivated a large number of people around the world. Apart from the tangible benefits like flamboyant degree and a better paying job, international students prefer to study in the universities overseas because they are taught on the basis of the attitude that matters and practicality. And one destination that always witnessed a dramatic increase in the number of international students has been Australia. Widely known as the ‘land down under’ for its position in the southern hemisphere, this country offers world-class education from preparatory level to post graduate programs. In 2015, Australia had the highest number of international students enrollment with 645,185, out of which, 272,095 international students enrolled in the higher education sector. 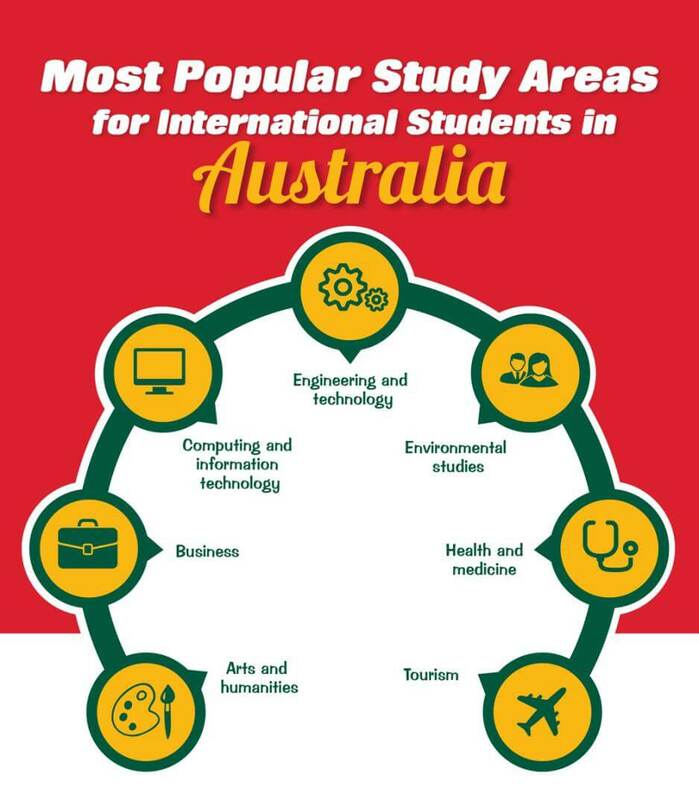 With 7 of the top 30 student cities in the world that are ranked among the top 75 in the QS Best Student Cities 2016, Australia also embraces values and traditions. Its culture is as broad as its landscape and it can be clearly reflected in its food, lifestyle, cultural practices and experiences. Moreover, degrees from Australian schools and universities are recognized all over the world. Graduates of the country are considered highly preferred by both Australian and international employers. This is because of the striking international reputation of the Australian education system that is strictly regulated by the government to maintain its high standards. If we consider the study costs, Australia is considerably lower than other major destinations for international students such as the United Kingdom and the United States. Foundation studies start from $AUD 15,000 per year. 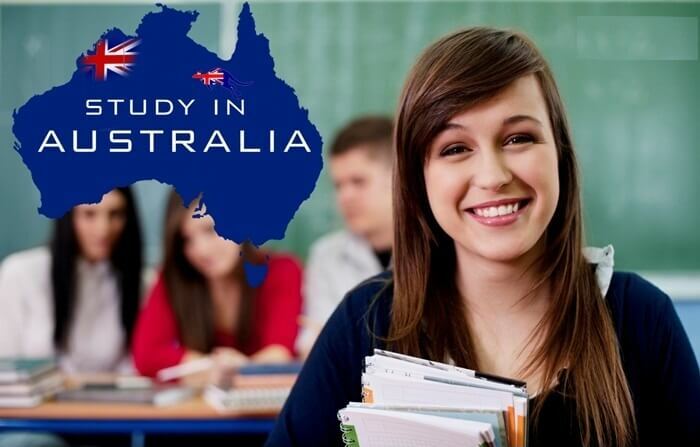 Work while studying is also one of the major reasons that make students choose Australia as their study destination. International students on a student visa in Australia can work up to 40 weeks every 2 weeks and full-time during semester breaks in industries like retail, hospitality, tourism, agriculture and administration. But one must make sure to research at the Immigration Department Website before making any assumptions about working in Australia. Though Australia has evolved as the most esteemed destination to pursue higher education, international students face considerable challenges to reach there and get accustomed to the way of living and academic life. Given below is the list of those challenges with the appropriate tips to overcome them. While applying for an Australian visa, a large number of students encounter many problems right from filing the application. This is due to the lack of knowledge and unfamiliarity of the process. The process includes filling of several documents like birth certificates, passports, health certificates, authorization letter and other relevant documents. Failing to submit any of these documents or providing false information immediately leads to the denial of visa. How to deal with it: Getting the assistance of knowledgeable and authorized people like immigration and visa experts is a clever move to get the work done efficiently. Having the industry experience, these individuals help to do all the paperwork and also save the time and money one has to spend on follow-ups. Besides, they help to increase the chances of getting the desired visa. Choosing where to live in Australia is not a piece of cake. The cost of living varies in each city. One must consider all the factors before coming to a conclusion, this includes- food, accommodation, transportation services, recreational and financial services. How to deal with it: For those willing to experience high standards of living, multicultural community and great entertainment options then Melbourne and Sydney are the best suitable options. While other cities like Perth, Brisbane, Adelaide, Hobart, Wollongong, Gold coast, Canberra, etc., are included in the list of the most economical cities. The majority of the students prefer to apply for the course or the university on the basis of fees, homestay or the health insurance cover. And after dealing with frustrations and disappointments, they get left with no choice but to change the education provider. Though immigration department helps in the process but it needs a valid reason for a student to change the university or the course. Additionally, the student also has to negotiate with the school or university. How to deal with it: It is highly advisable to know the study interests and do a thorough research on the education provider, the courses offered along with the terms and conditions. Scholarships have always been the common way for different countries to attract students from all over the world and Australia is no exception. Every year the Australian government invest $200,000,000 in international scholarships. Scholarships are awarded on the basis of academic merit and offered either by the universities, external organizations or by the Australian government. However, one must need to check carefully whether the course qualifies for a scholarship (including the tuition fees and the living expenses) or not. How to deal with it: Hiring a qualified education consultant can help knowing even the minute details of scholarships. Apart from the career counseling, the great benefit of utilizing this resource is it helps reducing stress and plan the process in a smooth way. Upon arriving in Australia, one of the most common problems international students face is abiding by its laws and regulations. The laws in Australia are very strict for the things like drink driving, working illegally, consumption of drugs, visa expiration and inability to maintain 80% of attendance in a course. In any case, if the student breaks the law, he/she will be deported immediately from Australia and lose all the fees that have been already paid for the course or homestay. How to deal with it: One must be aware of all the obligations and responsibilities before entering into Australia either with the help of an immigration agent or the education provider. Living in a place which is completely different from the native place and getting exposed to a new culture leads to physical and emotional discomfort. This includes loneliness, disturbed sleep, mood swings, irritability and the homesickness. How to deal with it: The best way to deal with this problem is to step out of the comfort zone, make new friends and build meaningful relationships. Also, there are many colleges and universities that provide great assistance to international students by offering workshops and recreational activities that help them to break the ice. It is one of the biggest challenges while living in Australia as an international student. Apart from covering the cost of tuition and accommodation, one has to save for the additional costs like sightseeing trips and traveling home for summer break. Though it is permitted to work part-time during their studies, international students should not rely entirely on a job to support the expenses. How to deal with it: If you have a restricted budget, the easiest way to plan out the things is, looking for cheaper alternatives. For instance, if you are going for lunch or dinner with your friends, Australia has some cafes and restaurants that serve a meal at lower costs. When shopping for clothes, there are some stores that offer discounts to international students on identification cards. Also, many institutions have on-campus finance management advisors. Getting their assistance can help to plan out things, get information about the part-time work and the range of accommodation that suits your budget and needs. Australia is a country that has always encouraged initiatives, problem-solving abilities, critical thinking, and confident personalities. However, for international students coming from different backgrounds, it seems overwhelming and a little confusing. This is why; many of them fail to harmonize and get discouraged with their performance. How to deal with it: Though it takes some time to adjust to the new academic world, international students must make efforts to get familiar with the system. All the institutions have set specific standards along with validation behind them, which makes everything clear from the beginning. When studying overseas, all the challenges and problems seem terrifying at the early stage but if they are addressed properly, it is not hard to overcome them. It is a lifetime opportunity, hence make sure to prepare well and come up with the best results. If any problem perseveres never fail to take the assistance and immigration and education counselors. They are the ideal persons to take guidance for living in a foreign land. Dharmendra Patel is a director of Aussizz Group and registered immigration consultant in Melbourne, offering valuable advice and support to people seeking immigration in different countries like Australia, New Zealand and Canada. Over the years, Dharmendra has consistently stood the test of time by helping thousands of clients in accomplishing their dreams of relocation to foreign countries. Thank you for this blog. I got exactly what I was looking for, reading this one. Also, very-well written! Thank you, again!